Fire Up Your Life Now! Are you attracting everything you want in your life — career, relationships, health, money? Now you can benefit from Kenyon Coaching’s unique system that has guided thousands of people to live happier, more productive lives. Fire Up Your Life Now! revels 25 secrets that help you unlock your untapped potential – and put it to work today. 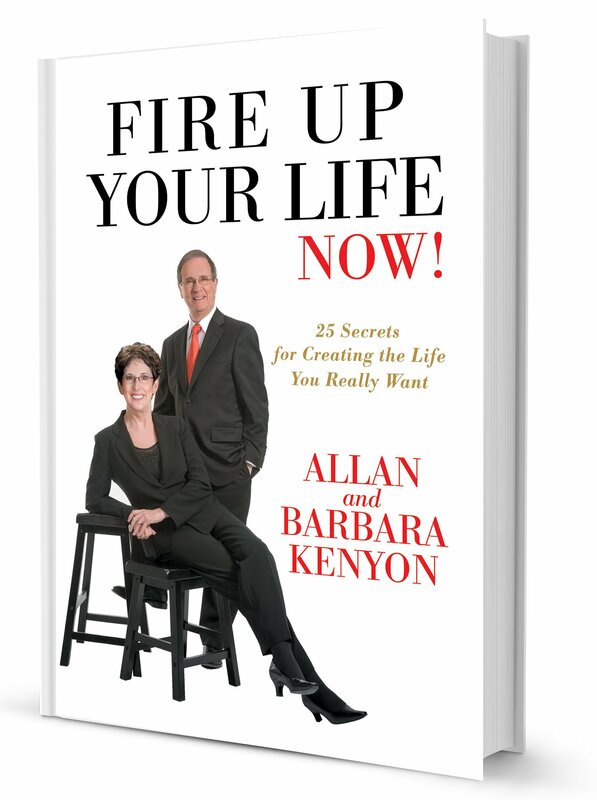 Business and Personal Coaches Allen and Barbara Kenyon tell how their simple yet powerful approach will help you attract what you really want for your life. Their book provides key questions and exercises designed to turn their secrets into specific actions with amazing results. Are you ready to develop the self-confidence and motivation you need to make positive changes in your life? Discover what is blocking you from creating the life you deserve. Start living a fired-up life today! “This book is like taking a shower in clear, positive thinking. When a worry thought appears, I simply push the worry delete button and I’m back on track." With a solid background in counseling, coaching, business development, and life skills training, Kenyon Coaching are two of the industry’s best choices for serious business and personal coaching. Their unique blend of qualifications allows them to approach your needs with objectivity and compassion.